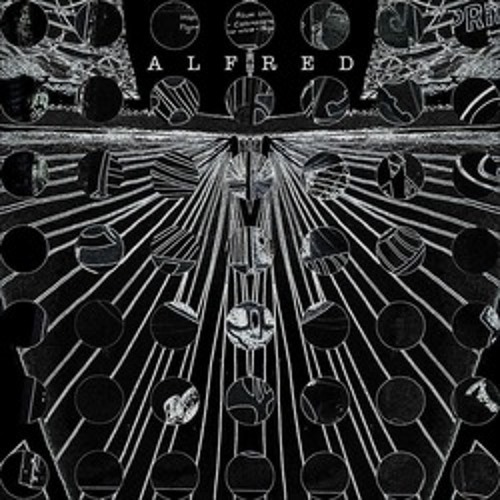 Monkey On Your Back is the Debut EP by Bath based band; Alfred. They're eclectic style ranges from Psychedelic Folk to Rock sprinkled with rations of Jazz. Joe McDonnell - Guitar/Vocals Joe Mc Donnell (a.k.a. Jocelyn Mc Doughnut) has given up a life of cross-dressing in order to pursue his carreer as a purveyor of fine musics. His early songs were all about insects and asked the question "What would win between a .... and a ...?" (Usually the elusive dagger mantis would emerge victorious) Currently though, he writes about more universal subjects such as Love, Loss, and the innescapable greyness of the human condition. The NME have yet to form an opinion of him as he hasn't made it onto their radar yet, but if they did review his songwriting style, they might compare him to a younger less influential Bob Dylan with a lisp. He originally was inspired to play music when he first heard a cukoo singing it's merry springtime song, he then stopped for a while when he realised that Cukoos are sworded nest thieving bastards, and then started again when he learnt to be more forgiving of the harshness of nature. Frank McHugh - Bass/Vocals Reincarnation of a Kiwi John Lennon, Frank (pronounced Friink) McHugh grew up harvesting Bass Notes from Cantonese Bass Tree also known as the "Bassalingus Platipuds". After harvesting enough notes to put a song together he set off on a 12 year journey to find some treble, some brass and someone to hit things. Success succeeded. And therefore the miraculous birth of a new child; Alfred. Pasha Ball - Trumpet/Mandolin Pasha learnt to play trumpet on the back of a pick-up truck travelling down the length of the Mekong. He draws his inspiration from the Cosmos and is believed to be the direct descendent of Pocahontas. His style has been described by experts as "softer than the padding on a kittens paw yet more powerful than the full velocity of a Bison hoof". Non experts have said "m'yeah...he's ok". When he's not playing horn he collects Magic 'the gathering' cards and has a devastating white elemental deck with which he competes regularly. George Freegard - Drums George changed his name from Loosepole to Freegard after a life threatening incident of mistaken identity involving the Russian Mob. As part of his witness protection cover, he's forced by the authorities to play drums for Alfred. He does it fairly begrudgingly as he has no interest in music and hates all of the members. He manages to keep time by beating the drumkit in a repetitive and regular fashion. Sometimes he uses the pedals, sometimes he uses the sticks, and it is this unpredictability that makes George a quite interesting drummer.